Are you interested in donating an object to the museum collection? First you should assess the item against the museum’s Collection Policy. This should assist you in understanding if the object meets our rules regulating acquisition. 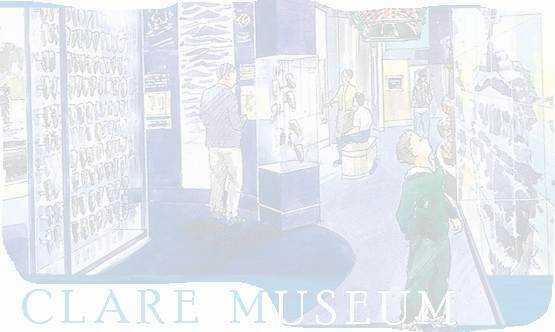 Once you are satisfied that the object you wish to donate to the museum meets the criteria, you should contact the Curator at claremuseum@clarecoco.ie or telephone at 065-6823382. A meeting can then be arranged between you and the Curator. If the Curator agrees to accept the donation, an entry form will be completed with you and you will sign a section transferring title of the object to the museum. You will receive one of the triplicate copies. However, the Curator may request up to 40 days to assess the object against the rules regulating acquisition. In this event also, an entry form will be completed with you and you will receive a copy of the document. Once a decision has been made the Curator will contact you to either accept the object and to organise the transfer of title or to arrange for its return to your possession. Photo shows Dennis Liddane medal’s collection which was donated to the museum in 2013.